On this date in our family history . 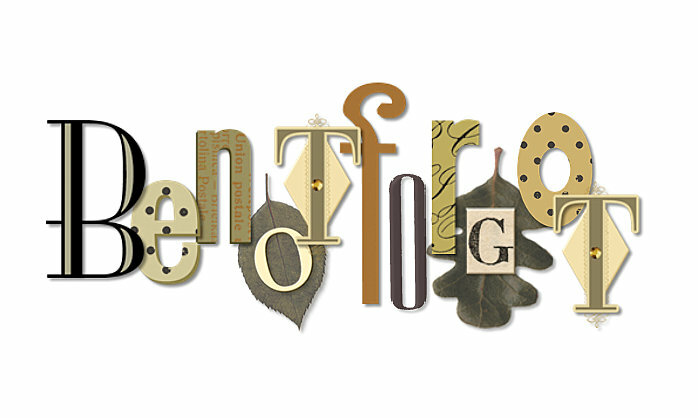 . . the 28th day of May . . . in the year 1694 . . . Joseph Merrill is born in Newbury, Essex County, Massachusetts . . . his parents are Daniel Merrill (1671-1725) and Esther Chase (1674-1751) . 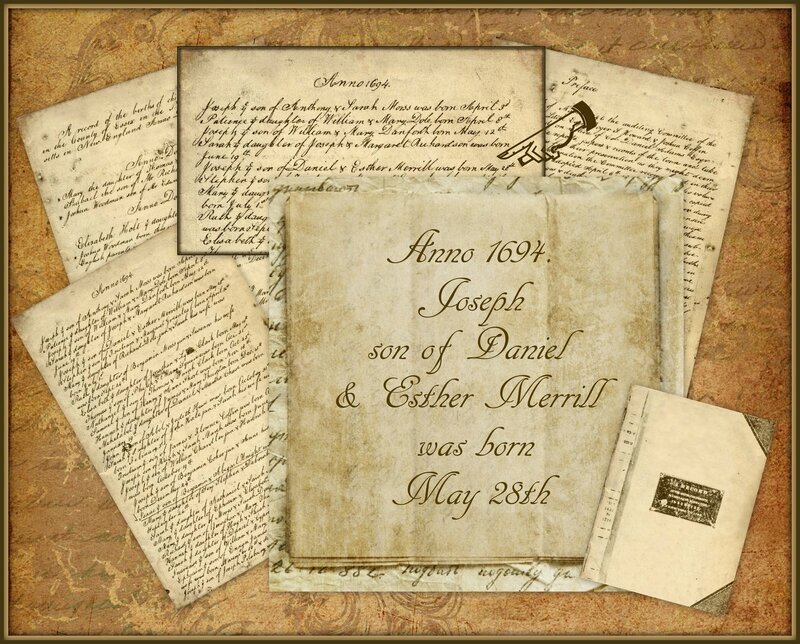 . . and his birth can be found recorded in Massachusetts, Town and Vital Records, 1620-1988 . . . the pages in the collage are from that database . 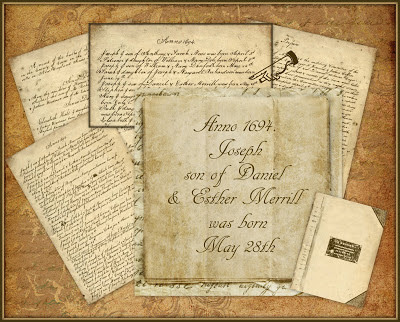 . . this Joseph is a 7th great-grandpa to the Keeper of this family history blog . . .